UPDATE 1755 GMT: Qatar has recalled its ambassador to Iran, joining Gulf colleagues Saudi Arabia, Bahrain, Kuwait, and the UAE in downgrading relations with Tehran. “The ministry summoned this morning Qatar’s ambassador to Tehran against the backdrop of attacks on the Embassy of the Kingdom of Saudi Arabia in Tehran,” Khalid Ibrahim Abdulrahman Al-Hamar, the director of the Asian Affairs Department, said. Following the dispute over Saudi executions and Iranian protests that burned and ransacked the Saudi Embassy, Riyadh broke links with Iran on Sunday. Bahrain followed, while Kuwait and the UAE recalled their ambassadors and reduced diplomatic staff. Sudan has also cut diplomatic ties with Tehran. 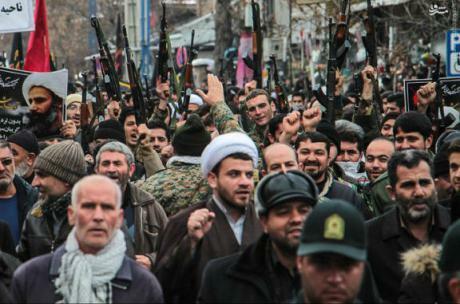 UPDATE 1600 GMT: Pictures from Urmia in northwest Iran indicate continued anti-Saudi protests, including armed demonstrators, despite the regime’s shift to criticism of last Saturday’s attack on the Saudi Embassy. 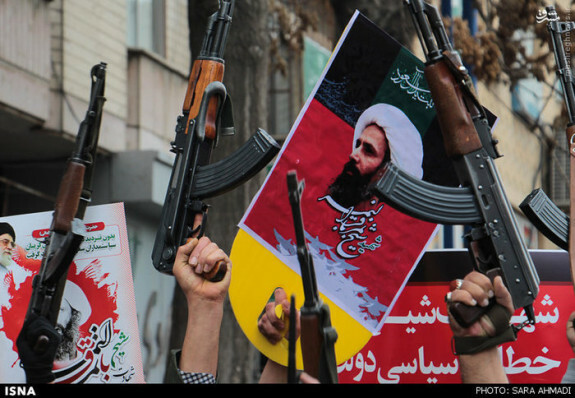 ORIGINAL ENTRY: Iran’s Revolutionary Guards have backed away from last Saturday night’s attack on the Saudi Embassy in Tehran, denying any responsibility for the “unjustified” event. Hours after Saudi Arabia executed 47 detainees, including prominent Shia cleric Sheikh Nimr Baqr al-Baqr, protesters threw Molotov cocktails at the Embassy and then ransacked part of it before they were finally dispersed by police. Riyadh broke off diplomatic relations with the Islamic Republic the following day, giving Iranian staff 48 hours to leave the country and withdrawing Saudi personnel from Tehran. Iran’s President Rouhani said on Sunday that the attack was carried out by “extremists” who should be identified and prosecuted. 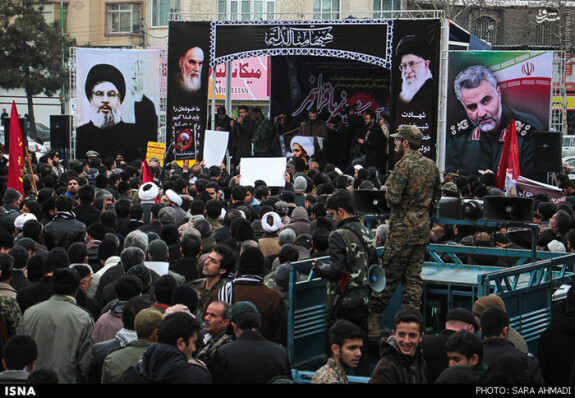 However, Iranian State media continued to highlight protests until Monday, when the line began to shift to questioning of the attack. A Revolutionary Guards Brigadier General, Mohsen Kazemeini, said, “The attack and burning of the Saudi Embassy…was very wrong, and by no means can this ugly act be justified.” He claimed that the protest was not carried out by “faithful forces”, instead blaming the “completely organized” demonstration on an unnamed person or group. The response to criticism must not be beheading. We hope that the European countries, which always react to human rights issues, also fulfill their human rights responsibilities on this issue. 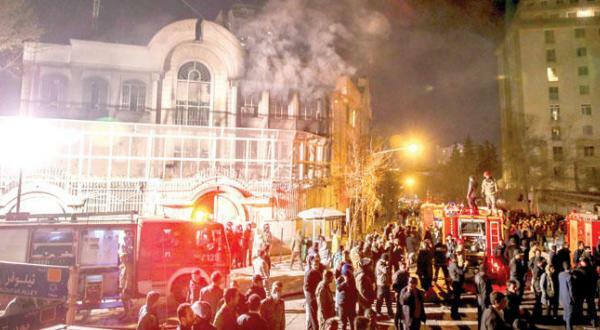 Ladane Nasseri of Bloomberg posts an article assessing the effect inside Iran of last weekend’s attack on the Saudi Embassy in Tehran. 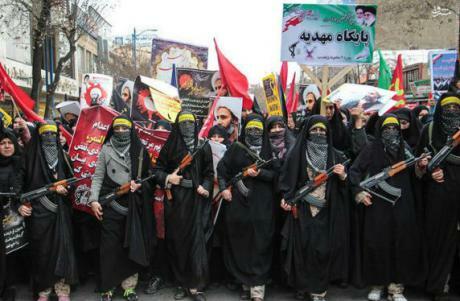 We have a longer analysis in today’s “Iran Special: Regime In-Fighting and the “Spontaneous” Attack on the Saudi Embassy“. PreviousMonocle 24: How Serious is Saudi Breaking of Relations?